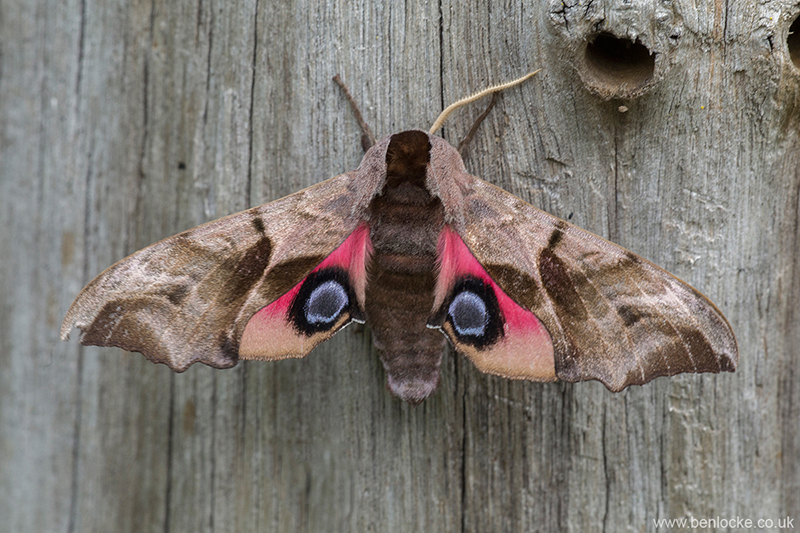 I photographed this Eyed Hawk Moth last week in Norfolk. They are fairly well distributed throughout England and Wales, this species has a sombre, camouflaged appearance at rest, but if provoked, flashes the hindwings, which are decorated with intense blue and black 'eyes' on a pinkish background. The adults fly from May to July, inhabiting woodland and suburban localities. They're amazing looking moths, putting most butterflies to shame. They are amazing looking, saw my first ones last year.